"Absolutely the best white sand beach!" If you're looking for an incredible beach vacation, Florida has no shortage of spectacular sandy oases. But one Tampa Bay beach can boast of a new accolade: Best Beach in the United States, according to TripAdvisor's 2018 Travelers' Choice Awards. Which gorgeous stretch of Sunshine State sand won top honors? 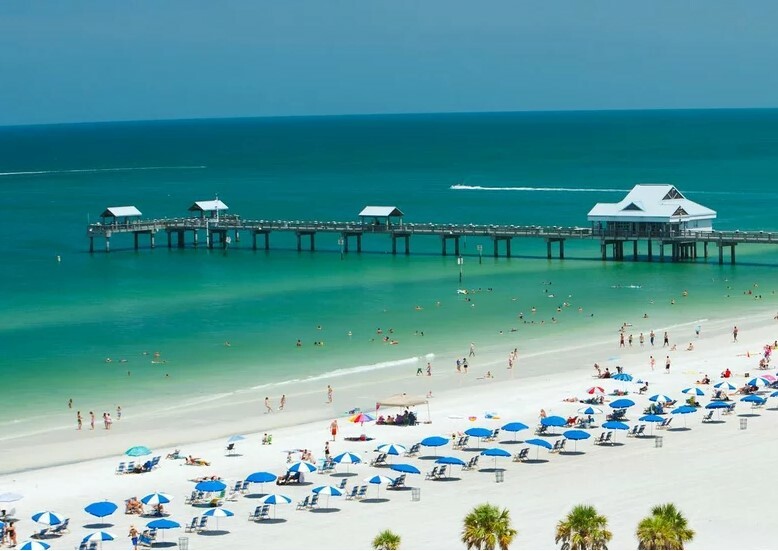 Clearwater Beach, an idyllic paradise on the Gulf of Mexico that averages 361 days of sun a year. Trailing close behind in second place was Florida's Siesta Beach, followed by Ka'anapali Beach in Maui in third place. To determine the rankings, TripAdvisor looked at the number of reviews and ratings for beaches around the world, along with the quality of traveler reviews. To see all the winners for 2018's Travelers' Choice awards — including the top 25 beaches in the U.S. and the world — visit tripadvisor.com/TravelersChoice. Who's ready to book that flight to St.Pete-Clearwater?